A development application has been submitted for a 16 level commercial office tower at 11 Breakfast Creek Road, Newstead. The development which is known as ’11BCR@GASWORKS’ is a joint venture between Charter Hall and John Holland who bought the site from Tatts Group for $16.5 million. 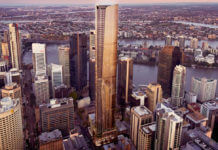 Tatts Group had planned to build its new national headquarters on the Newstead site but had changed its plans, instead opting to take out 10 levels of Daisho’s new 180 Ann Street office tower in the CBD. Amendments to the basement to allow for additional car parking, with 13 additional spaces. 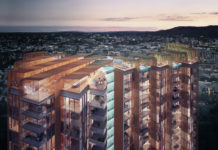 The development has been designed by Brisbane-based Architectural firm Blight Rayner and features two ground floor retail tenancies. John Holland itself has pre-committed to two floors of the tower which will house its Queensland headquarters. 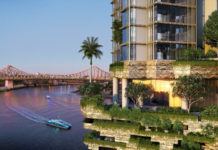 Charter Hall Prime Office Fund manager Craig Newman explained to the Australian that Brisbane’s near-city market had stabilised this year, recording an improvement in leasing activity, with the A-grade vacancy rate falling from 15.7 per cent to 13.4 per cent. Construction of the tower is anticipated to start in the first half of 2017 pending securing enough leasing pre-commitments. The DA number for this development is A004591856.